Flat frequency response down to 20 Hz is a bit of a rarity in the powered subwoofer world, but that's exactly what the PSB SubSeries 450 brings to the table. 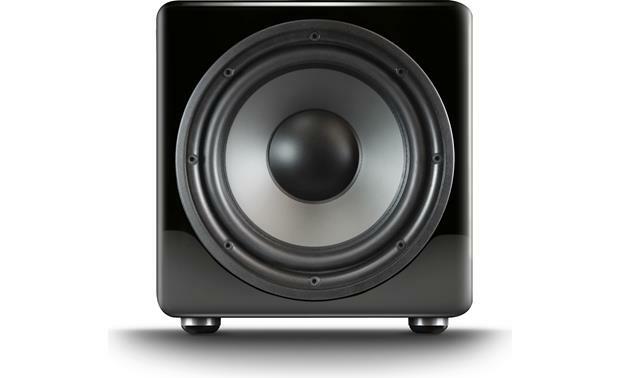 Bass this powerful and accurate ensures a visceral experience with dynamic and explosive movie soundtracks. It also provides a deep, rock-solid foundation for music, opening up the soundstage for a larger, more atmospheric listening environment. Savor every kick of a bass drum, plucked note on an upright double-bass, or rush of air from a pipe organ. Enjoy powerful, pinpoint-precise bass all the way down to 20 Hz with PSB's flagship SubSeries 450. When two legendary audio companies like PSB Speakers and NAD Electronics join forces, you can bet great things are going to happen. For starters, the SubSeries 450 employs a custom-designed, high-current 400-watt amplifier by NAD. The amp's advanced digital signal processing (DSP) allowed PSB to maximize the sub's performance, ensuring the flattest possible frequency response while maintaining high bass output levels with extremely low distortion. PSB then matched the amplifier with a potent, front-firing 12" driver with two pressure-coupled, side-firing passive radiators for an unbeatable combination of superior bass clarity and deep-down musicality. 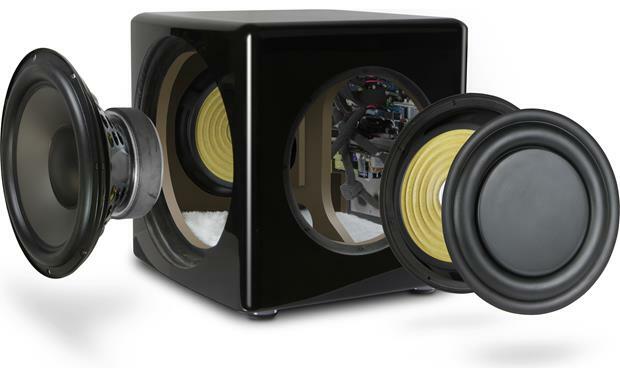 12" Woofer: The 12" woofer is built on a powerful motor using a 75oz magnet and a2-3/4" voice coil for high efficiency and power handling. The 6" spider assures perfect alignment at high SPLs which directly translates into very low distortion. The treated felt cone offers an ideal combination of stiffness and damping. Combined with a 1" rubber surround, this driver can respond to the lowest frequencies while maintaining perfect pistonic motion without "cone breakup" often encountered on lesser drivers. Dual 10" Passive Radiators: To extend bass response into the infrasonic region, two 10" passive radiators are used to sum the back wave output of the 12" woofer with the front wave. The two passive radiators are free of any wind noise or "port chuff" that can be a problem at very high sound pressures. Class D Amplifier (by NAD): The PSB SubSeries 450 employs a very advanced amplifier developed by NAD specifically for this application. The massive power supply is capable of the instantaneous high current required for accurate and powerful bass response and is combined with an advanced Class D output stage. This amplifier features an extremely high damping factor and high current output, two of the most important parameters for tight and powerful bass output. It is also highly efficient and includes a very low power (<0.5W) standby mode, making the woofer instantly available yet very low in power consumption. 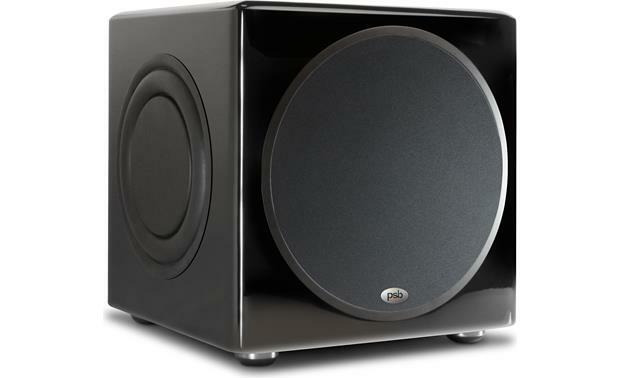 High-Gloss Cabinet: The PSB SubSeries 450 powered subwoofer features a soft-edged, cubic shaped cabinet with a beautifully, high-gloss black lacquer finish. Controls: Adjustments for crossover frequency and volume level, as well as variable phase/delay, perfectly align the PSB SubSeries 450 powered subwoofer with the full range speakers in your system. These controls are found on the rear-panel of the powered sub. 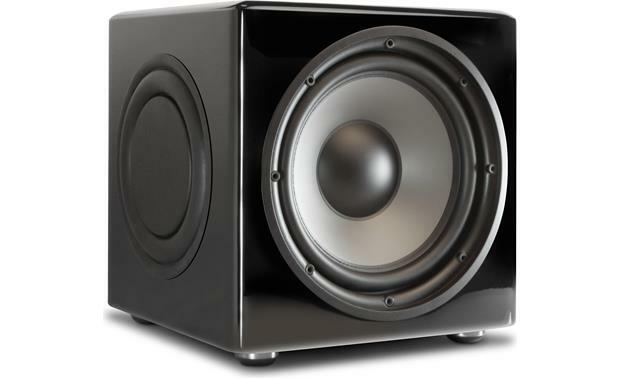 Volume Level: The rotary volume knob controls the output level of the powered subwoofer, relative to the volume of the other speakers in the system. Variable Crossover: The low-pass crossover adjusts the high-frequency roll-off of signals sent to the subwoofer. The control is continuously variable from 50 Hz to 150 Hz, and allows you to precisely match the subwoofer's bass production with your system's main left & right stereo speakers. Phase/Delay Dial: The phase/delay dial allows for the adjustment of the phase & delay of the subwoofer in relation to the speakers used in the system. The phase/delay is adjustable from 0 to 360 degrees. 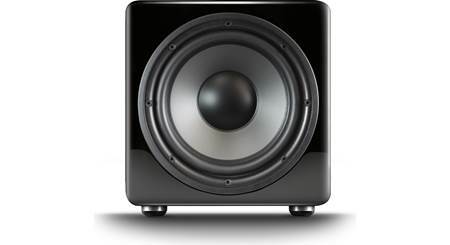 Connections: The PSB SubSeries 450 powered subwoofer offers multiple connection options. LFE Input/Output: A single gold-plated RCA jack (LFE) is provided for connecting the powered subwoofer to your AV receiver's LFE output. Since the subwoofer/LFE outputs are filtered by most receivers/processors, the subwoofer's variable low-pass filter is not required and is bypassed. 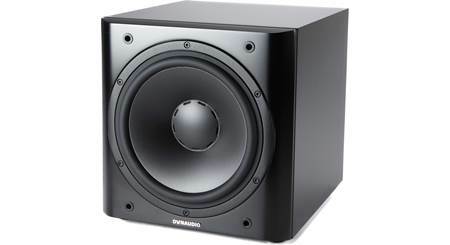 The powered subwoofer also has an LFE output for adding additional subwoofers. Stereo RCA Inputs: Two gold-plated RCA jacks are provided for connecting your source unit via the low-level input. If your receiver or integrated amplifier has preamp outputs, or if you are using a preamplifier without a designated subwoofer/LFE output, the preferred connection is to use a stereo RCA cable plugged into both left and right inputs. 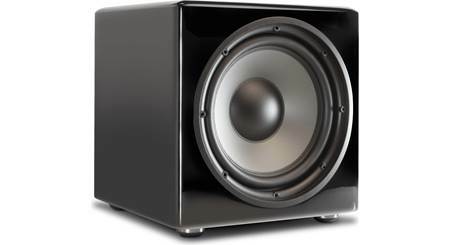 If the preamp outputs are unfiltered, the subwoofer's internal crossover should be used. Stereo RCA Outputs: The sub also has gold-plated RCA low-level output jacks, useful if your amp has pre-out/main-in jacks, or when using a separate preamp and amplifier. The low-level output is internally processed by the sub's active crossover; the high-pass slope is 12dB/octave and the crossover point is fixed at 80Hz. Speaker-Level Input: Two pairs of 5-way binding post terminals (for left & right channel) are provided for connecting the powered sub with speaker wire. The terminals will accept bare wire, spade lugs, pin connectors, and single or dual banana plugs. 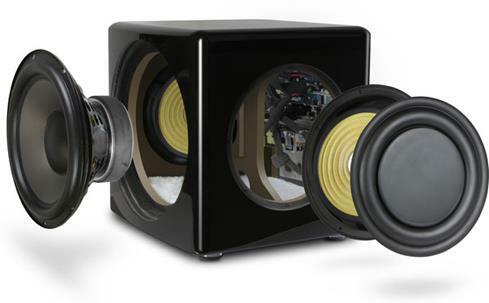 Auto On/Off: The powered subwoofer features a main power switch on the back panel. 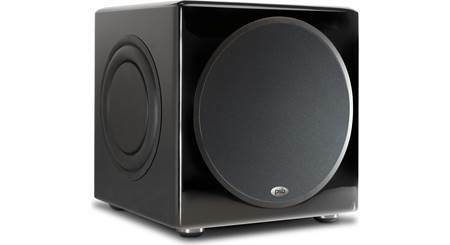 When switched to On, the subwoofer is initially in stand-by mode, awaiting the presence of an audio signal. When the signal is received, the subwoofer turns on automatically. 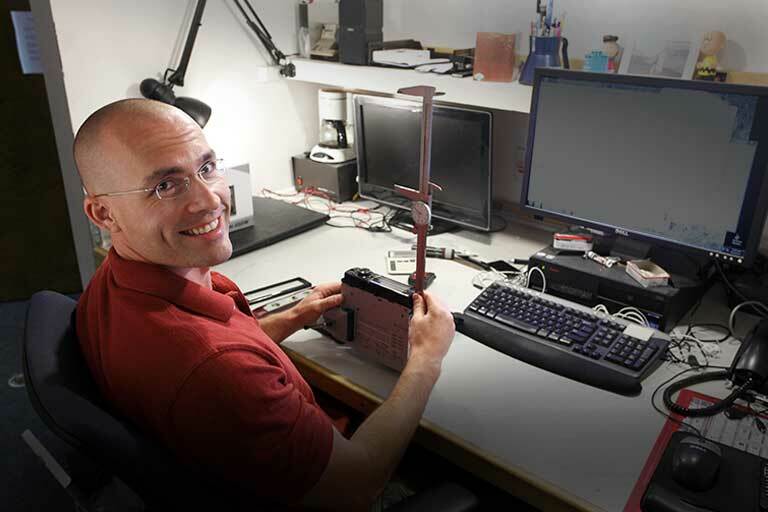 When no signal is detected, the sub's amp will automatically turn off after approximately 15 minutes. In the Off position, the subwoofer will not power up. 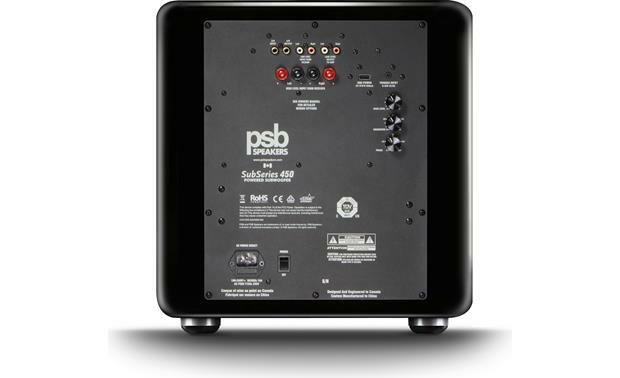 Searches related to the PSB SubSeries 450 DSP-controlled powered subwoofer.